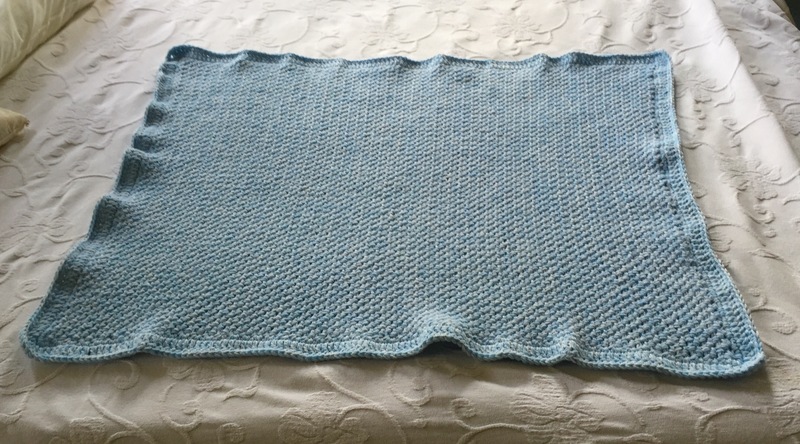 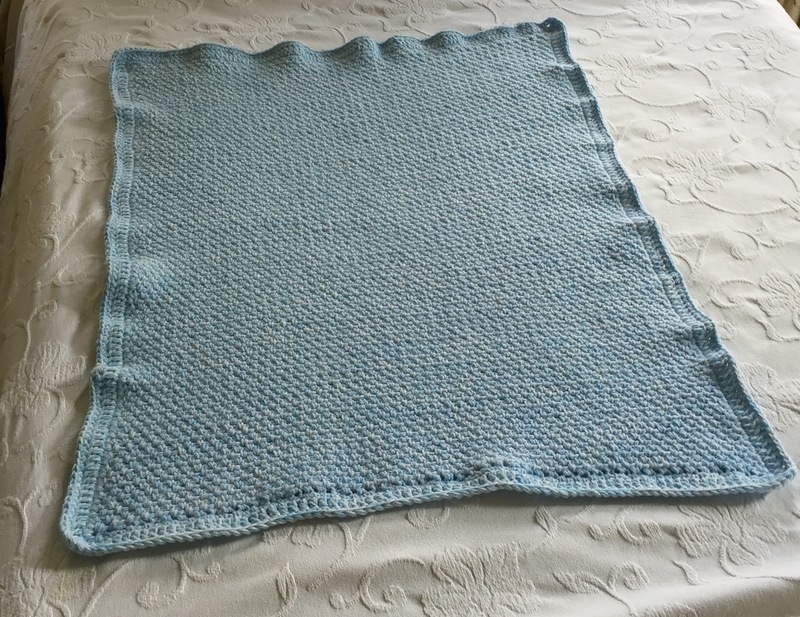 finished this in a couple of weeks 🙂 I used two strands of acrylic yarn in light blue and very light blue in a linen stitch and a size K hook. 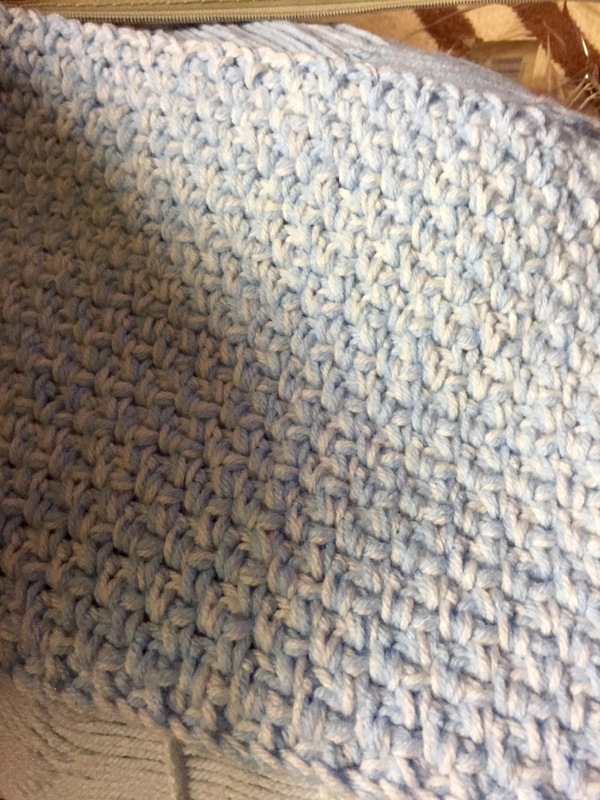 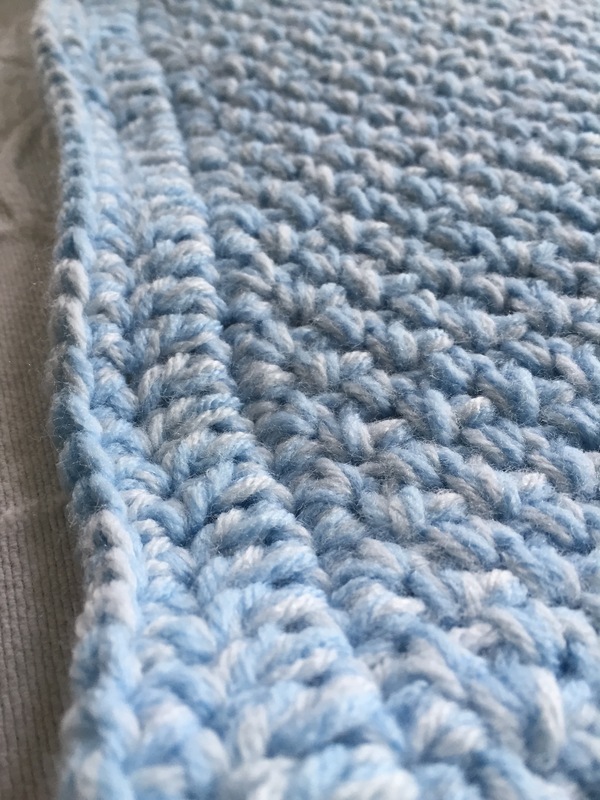 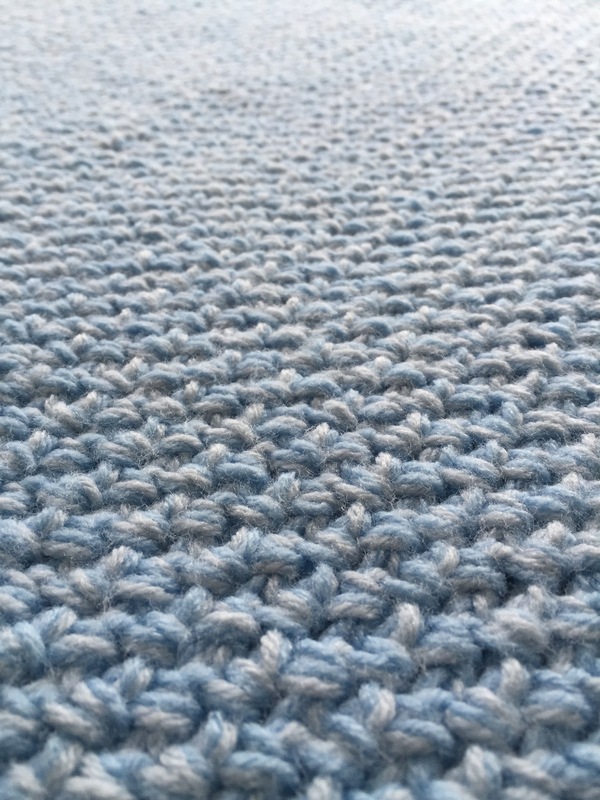 The border is one row in single crochet then a row of double crochet then a single row of single crochet. 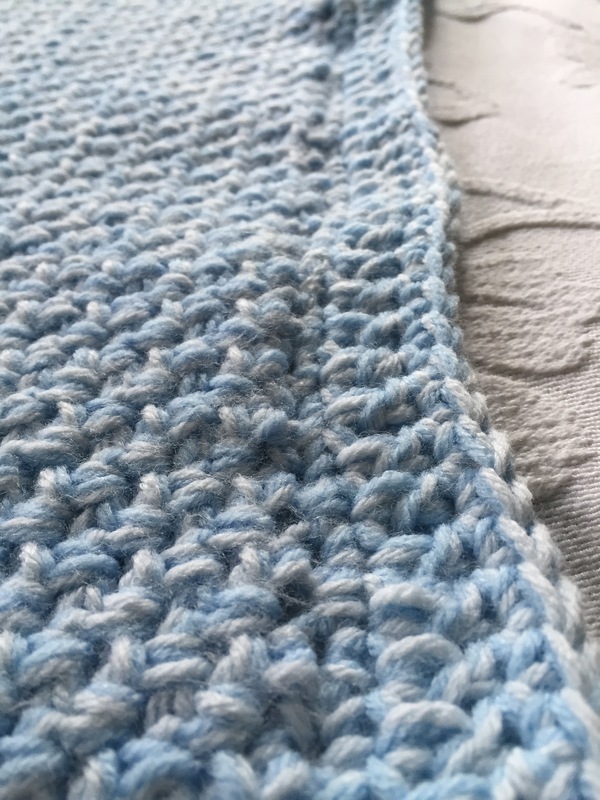 love the blend of colors!